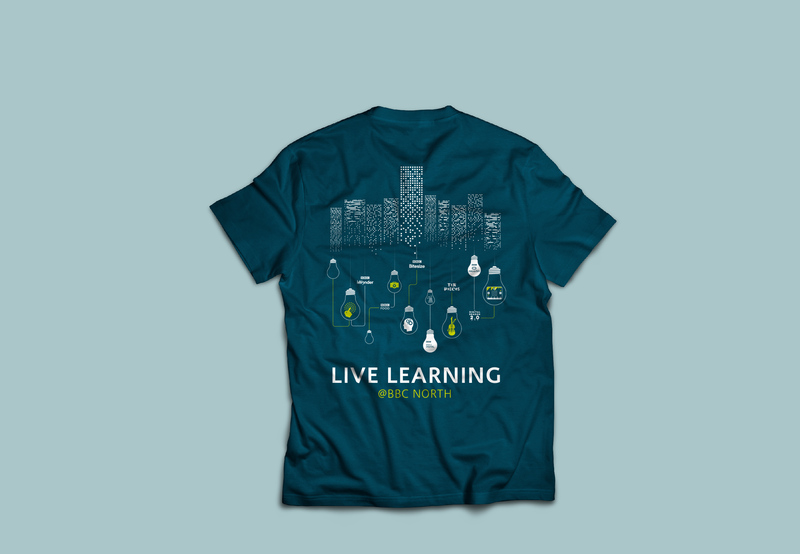 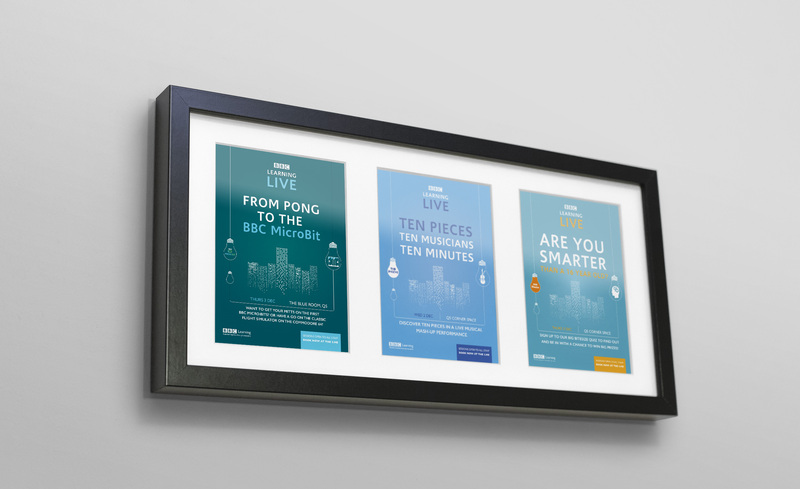 We were approached by the BBC Learning team to help promote and build awareness for their department with the BBC. 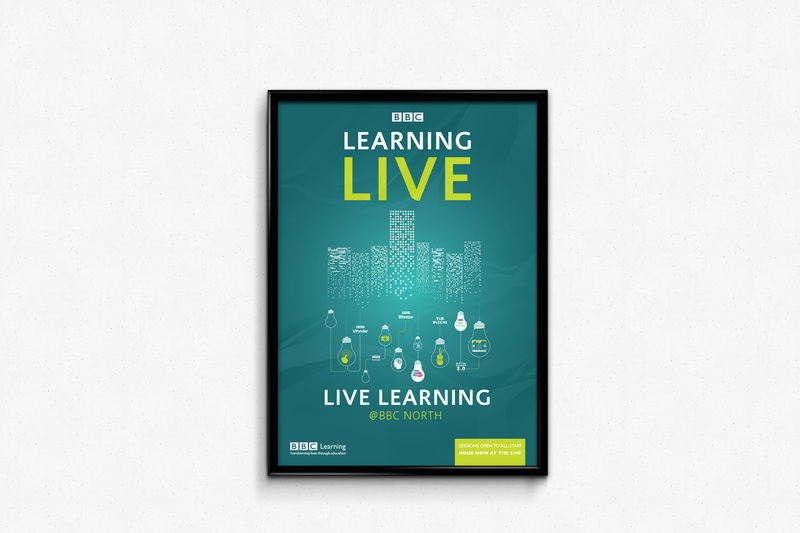 Learning Live was a week long series of workshops and showcases to educate the BBC on how BBC Learning could and have worked with many departments to enhance the their offering. 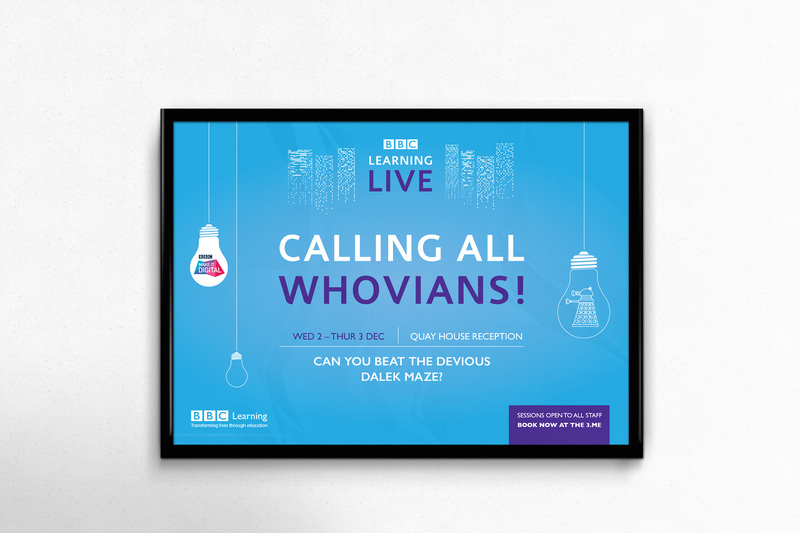 We created posters and flyers to be placed around the building along with intranet banners and t-shirts to help build awareness within the BBC.